For those living in a studio apartment or one of Pittsburgh’s historic homes where unusual floor plans weave throughout and empty wall space is at a premium, knowing how to maximize minimal wall space is a must. 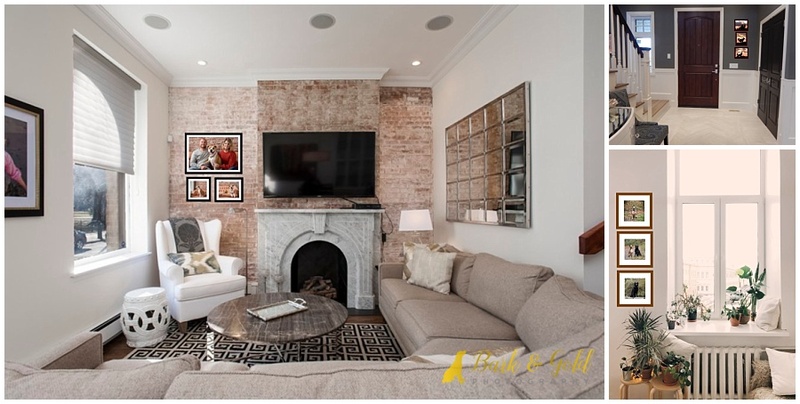 Here are three simple tips to take even the smallest walls from bland to grand. 1. Pull together several smaller pieces. A gallery wall highlighting several smaller pieces is a flattering addition to small apartments and rooms. 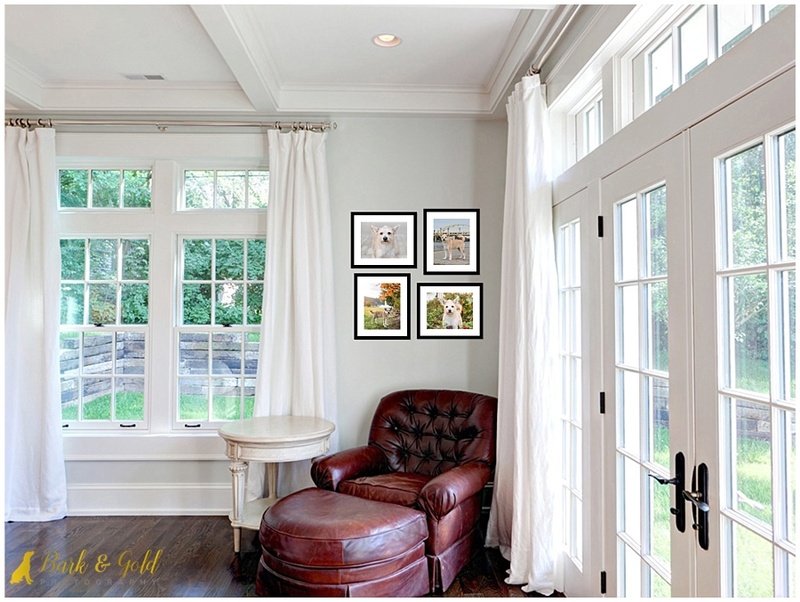 While it may seem counterintuitive, hanging multiple wall art enhances the depth and visual interest of your space and adds an adequately styled feel without eliminating the actual floor space. When putting together a gallery, I recommend limiting it to the one wall to prevent the space from becoming too busy, which in turn makes the entire room feel smaller. 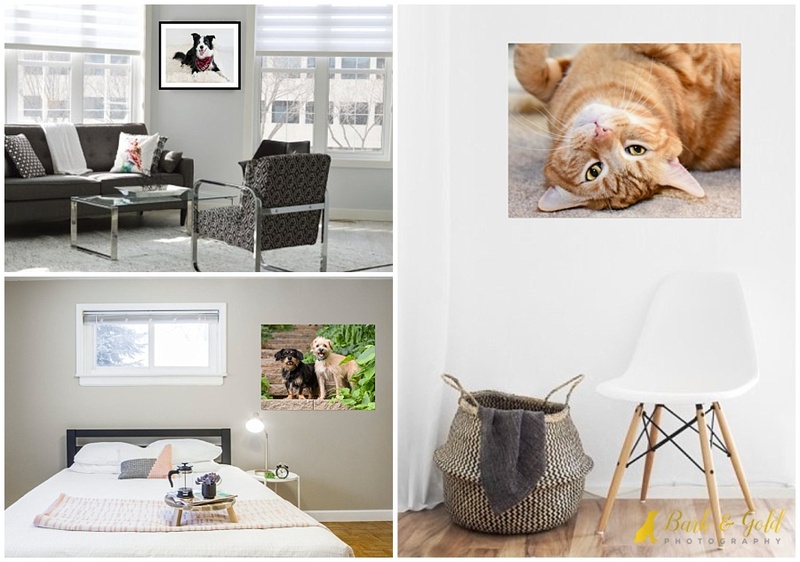 For example, despite having just a five-foot-wide wall to work with, the four 11×14 gallery-wrapped canvases grouped together create a nicely sized display that fills the corner without cluttering it. While multiple smaller-sized pieces certainly add visual interest, there’s also something eye-catching about filling the space. Choosing one larger piece that fills an entire wall can be unexpectedly impactful within even the narrowest of walls, giving the perception of a larger wall space. In fact, the fewer pieces featured on your walls, the more attention they will garner. Similarly, as to when used in gallery walls, smaller-sized art also works well when hung vertically because it visually lengthens a room by drawing your eye upward. This approach really fits seemingly tight spaces, such as those between a door and a corner of the room, as shown below. Mix vertical and horizontal images for a modern touch and a pop of personality. Just be certain to center them to keep them looking organized and cohesive. If you would like to book a Bark & Gold Photography session for your pet, click here or give me a call at 724-913-BARK (2275). For more information on Bark & Gold Photography products, visit “Products” under the Pricing tab in the menu and be sure to share your email on my homepage to join the VIP list.